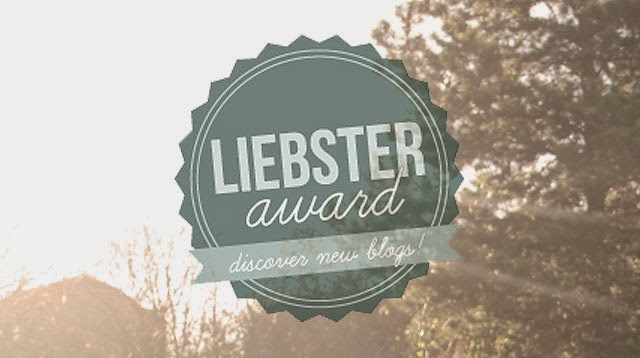 The lovely Sam of sjmcdf tagged me to take part in the Liebster Award. As my blogging camera is still out of action and, really, I am now not changing the batteries as I need to save them to get lots of pics in Germany. So, it's I have decided to have a go at answering these questions and, instead of tagging others as I am meant to, I tag you all! I will leave the questions I ask you at the end and, if you want, it would be great to see your answers! Can anyone guess? Pride and Prejudice, of course! I love the characters (Mr Collins - need I go on?! ), the tongue-in-cheek parody of contemporary society, the fact that Elizabeth Bennet is basically the original Bridget Jones and the relatable story lines which still ring true today (the awkward unwanted attentions from someone odd, the changeable behaviour of your crush, the older woman who always asks if you're married yet - I recognise all of these from either my life or the lives of my friends). You have all the money and time in the world. Where would you travel and what mode of transport would you use? I would go to every last patch of German soil then travel around Europe and go to all those countries like Italy and Greece. I would also go to India and I have really wanted to go to Inceland. I would also go to everywhere in the UK - especially Scotland which has been on my list of places I want to visit for some time now. Mode of transport? An icecream van would be fun and I'm sure you would meet a load of people. Or a VW camper van in a lovely pastel blue. I don't really have a weird celeb crush. Colin Firth is nice but that is an understandable crush. Which post that you have written this year are you most happy with? I was pleased with my post about Hever Castle. Hhm, I haven't managed to put so much effort into my blog this year due to exams etc but I was rather proud of my post about No More Page 3 last year - although it is slightly rambly, I'm glad I shared it. Your favourite blog to read? I can't just choose one! I have so many favourites. I have links to some of the blogs I like to read in the sidebar. As well as these I have been really enjoying reading Victoria's Vintage lately as well as Dear Miss Coco and so many more. In fact, I am thinking of writing a post sharing all my favourites - let me know if you would like to see that. I really don't know many. Yellow Submarine? I have no idea. Once again, I don't have much of an answer to this question. Winning the Canterbury poetry competition for the youth category? You get to have your make up done by any make up artist/ beauty guru, who would you chose? Tanya Burr would probably be a good choice as her makeup always looks so nice. I recently watched a film about Coco Chanel and was so inspired by her so maybe Chanel. But I'm not hugely sure. And I call myself a fashion blogger. 3. Which autumn themed thing are you most excited about? 4. What is your go to look? 5. What did you want to be as a child? 7. If you had to change your name, what would you change it to?